Catch up TV on Never Mind The Buzzcocks. Watch the latest and all other episodes of Never Mind The Buzzcocks now online, broadcasted on ABC2. 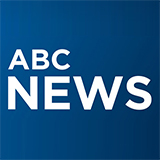 Catch up on your favorite ABC2 TV show: Never Mind The Buzzcocks. Replay tv on its best! 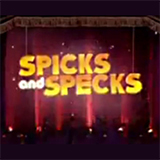 The UK's iconic, irreverent pop quiz series with guest competitors from the worlds of music, TV and comedy. Host Rhod Gilbert and regular team captains Noel Fielding and Phill Jupitus are joined by Clean Bandit's Grace Chatto, comedian Rob Beckett, musician Charli XCX and actor Phil Daniels. Host Rhod Gilbert and regular team captains Noel Fielding and Phill Jupitus are joined by comedian Paul Foot, DJ Sara Cox, musician Adam Ant and rapper Fuse ODG. Host Rhod Gilbert and regular team captains Noel Fielding and Phill Jupitus are joined by actress Kerry Godliman, comedian James Acaster, musician Har Mar Superstar and singer Nicole Scherzinger. Eamonn Holmes takes on hosting duties. Joining team captains Phill Jupitus & Noel Fielding on the panel are Sarah Millican, Jaymi Hensley from Union J, Happy Monday's icon Shaun Ryder & from Fresh Meat, comedian Greg McHugh. This week Kristen Schaal takes on Buzzcocks hosting duties. Joining team captains Phill Jupitus and Noel Fielding on the panel are Alice Levine, Rylan Clark, David O'Doherty and James Arthur. This week Radio One DJ Sara Cox takes on Buzzcocks hosting duties. Joining team captains Phill Jupitus and Noel Fielding on the panel are Iggy Azalea, Eliza Doolittle, Jake Humphrey, and Xtra Factor host Matt Richardson. This week Russell Howard takes on Buzzcocks hosting duties. Joining team captains Phill Jupitus and Noel Fielding on the panel are Conor Maynard and Lethal Bizzle. Pop quiz returns with team captains Noel Fielding & Phill Jupitus. Guest host is actor John Hannah joined by Felix Buxton from Basement Jaxx, Aluna Francis from AlunaGeorge, 'Hairy Biker' Dave Myers & comedian James Acaster. This week John Barrowman takes on Buzzcocks hosting duties. Joining team captains Phill Jupitus and Noel Fielding on the panel are Jason Manford, Helen Skelton, Jason Derulo and Joe Wilkinson.